Often the question has been asked, "Who is a Gold Star Mother?" During the early days of World War I, a Blue Star was used to represent each person, man or woman in the Military Service of the United States. As the war progressed and men were killed in combat, others wounded and died of their wounds or disease, there came about the accepted usage of the Gold Star. This Gold Star was substituted and superimposed upon the Blue Star in such a manner as to entirely cover it. 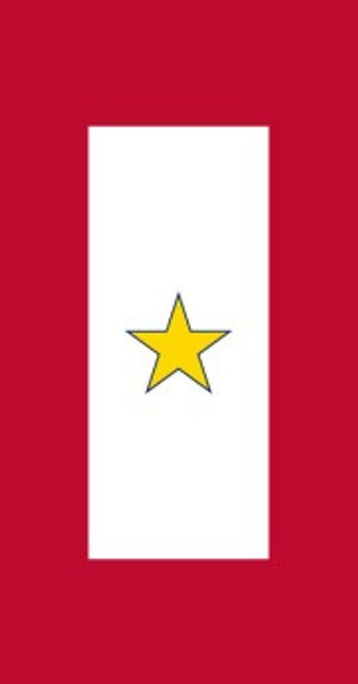 The idea of the Gold Star was that the honor and glory accorded the person for his supreme sacrifice in offering for his country, the last full measure of devotion and pride of the family in this sacrifice, rather than the sense of personal loss which would be represented by the mourning symbols. The last Sunday in September has been designated as Gold Star Mother’s Day. To receive a Gold Star Banner please contact: wi1bluestarmothers@yahoo.com our Gold Star Mother Coordinator will contact you. SUPPORTS the military family through a national network of those who have lost a loved one in the armed forces and are now standing by to lovingly reach out to and support others when a death occurs. CARES about and supports all “survivors” including spouses, significant others, parents, children, siblings, co-workers and friends. Call us for more information at 1-800-959-TAPS (8277) or visit our Web site at https://www.TAPS.org.